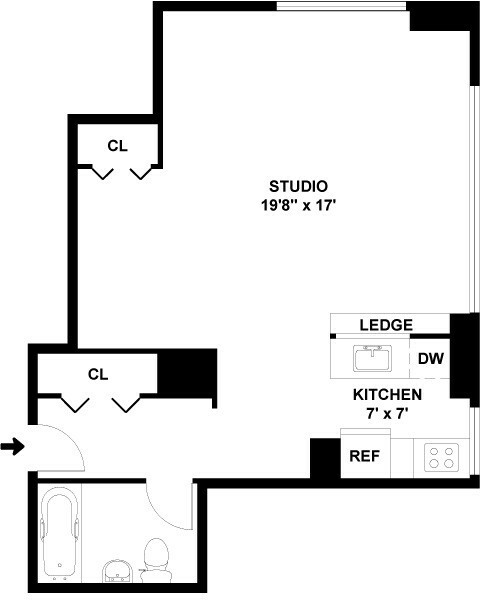 Exquisite studio in the heart of Manhattan. 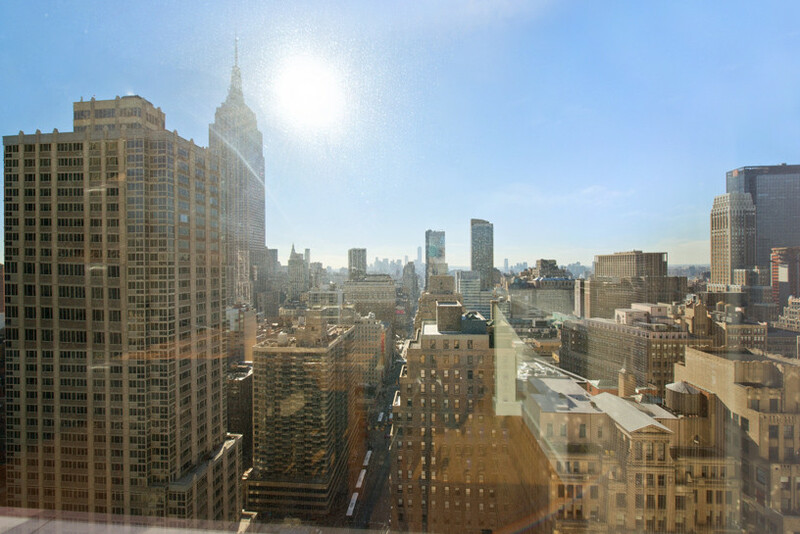 Perched on the 38th floor, this apartment boasts double exposure, facing south and east. 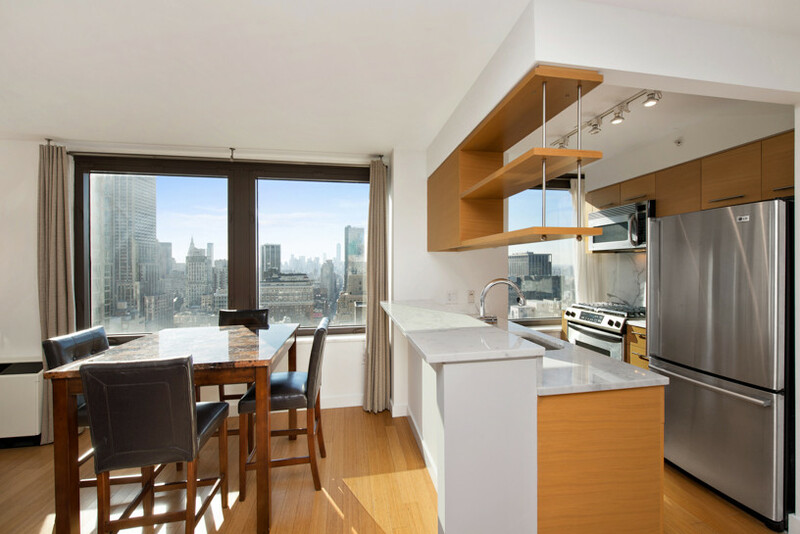 Flooded with sunlight throughout the day owing to its oversized panoramic windows, the unit features views of the Chrysler building, Empire State building, and Statue of Liberty. 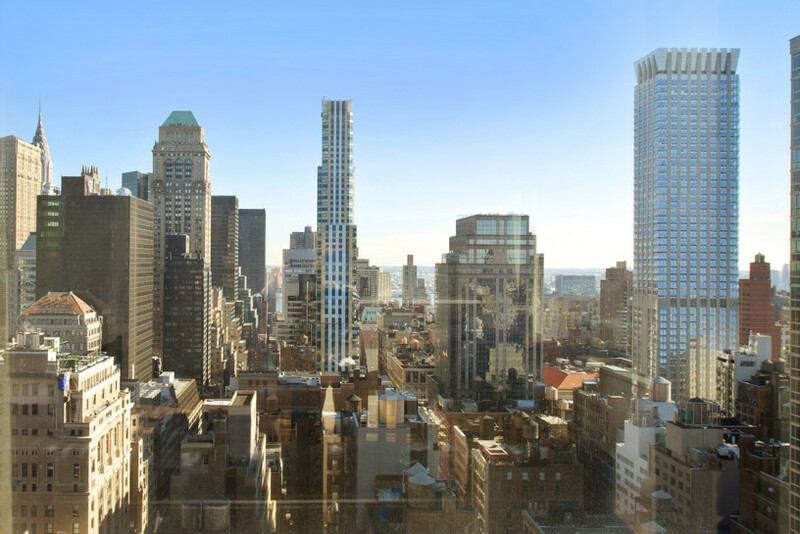 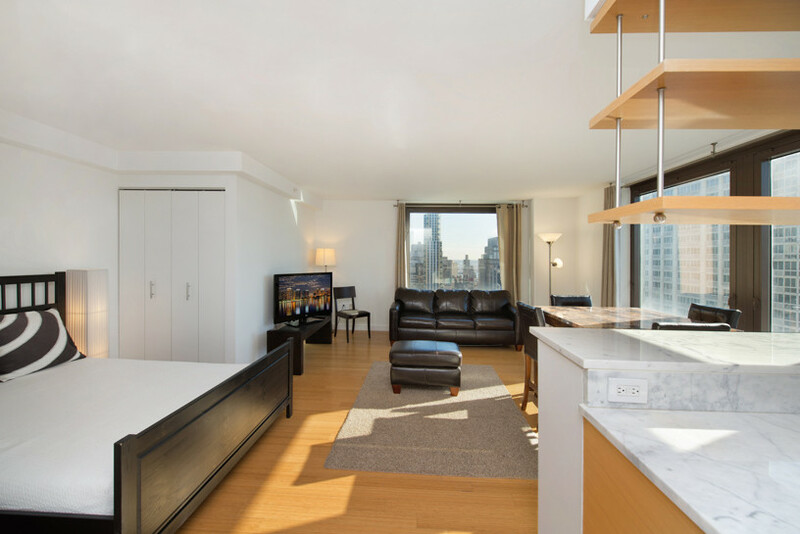 Located in proximity to Bryant Park and major office buildings along the Sixth Avenue Corridor, this spacious studio comes equipped with its own flat screen TV and essential classically styled furniture. 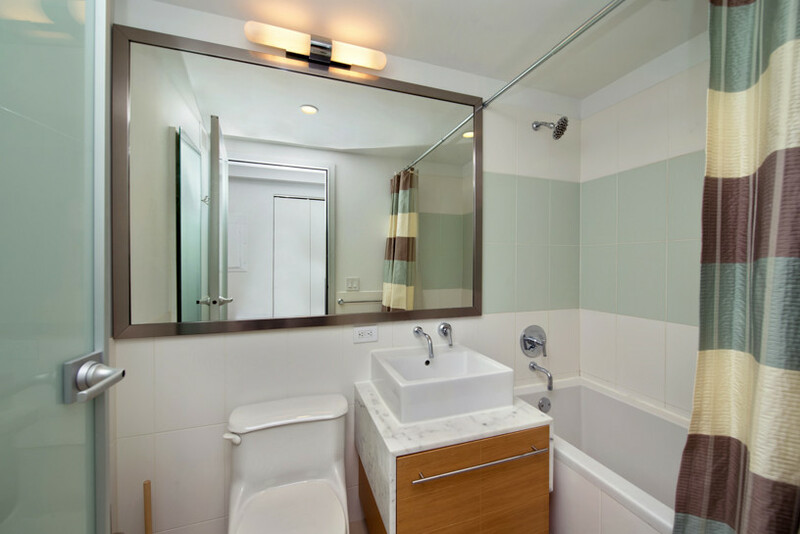 Ample closet space, an elegant windowed kitchen, and a sleek bathroom complete this apartment. 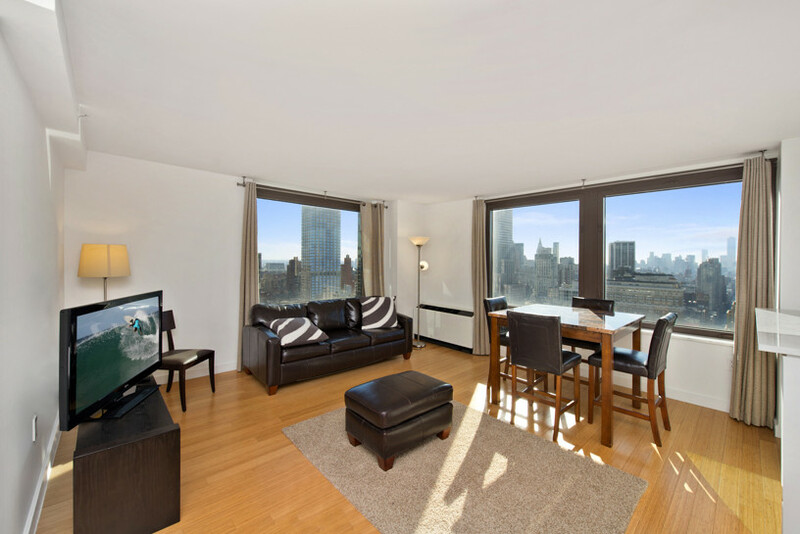 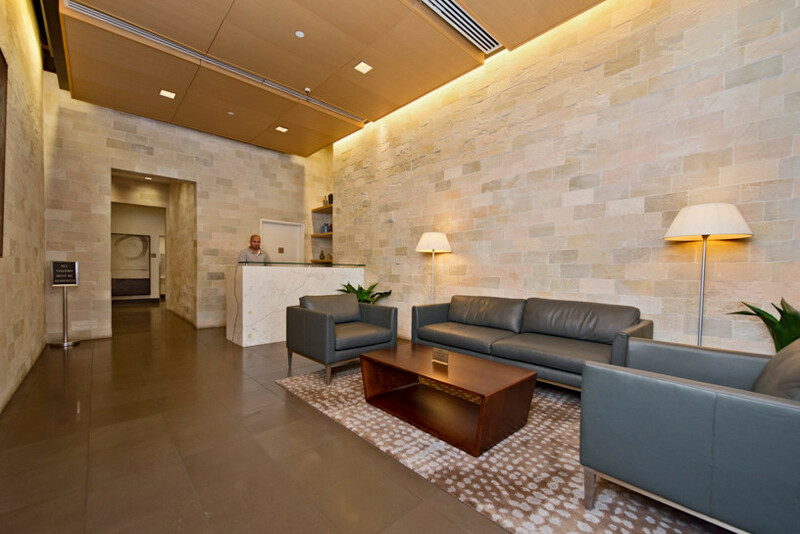 All this with the added convenience of a full-time service building, gym included.